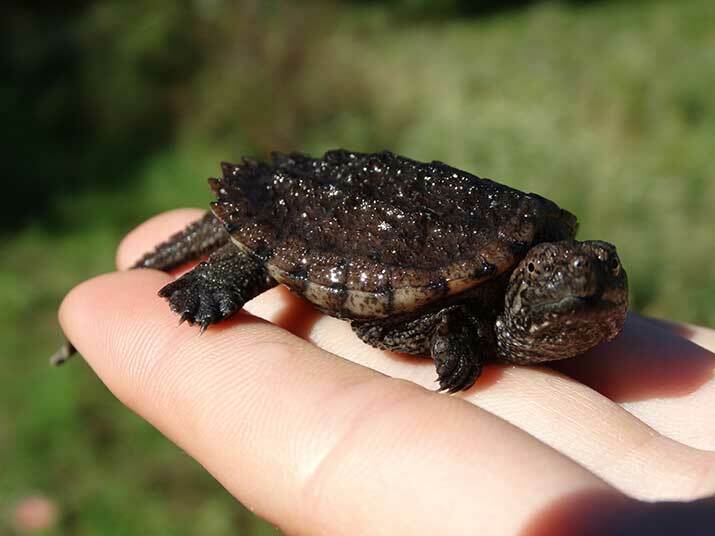 Environment Canada recently posted the Recovery Strategy for four turtle species (Eastern Musk Turtle, Spiny Softshell Turtle, Blandings Turtle, and Spotted Turtle), and the Management Plan for an additional two turtle species (Northern Map Turtle and Snapping Turtle). Within these documents is a disturbing list of fifteen primary threats (ranked medium or high level of threat) across the six species, all related to human activities such as habitat loss or degradation, road kill, boating mortality, and fishing by-catch. Although each species has its own unique set of threats and no species is impacted by all of the threats, Spiny Softshell comes close with having eleven of fifteen threats listed as impacting the species’ recovery. Habitat loss and conversion is important for all species. 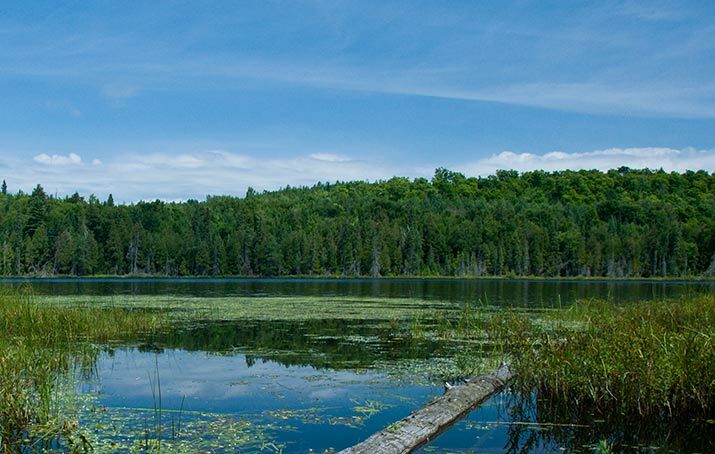 Wetlands continue to decline in Canada, and few provinces have imposed legal protection of wetlands. Shoreline development is an important threat for the Map Turtle and Spiny Softshell. Hardening of the shoreline with retaining walls, rip rap, and docks reduce the amount of habitat available for nesting, basking, foraging, and overwintering. The introduction of invasive exotic plants has resulted in a surprising source of habitat conversion for Blandings Turtle, Spiny Softshell, Spotted turtle, and Northern Map Turtle. In particular, the European Common Reed, Phragmites, has invaded wetlands and decreased habitat quality by reducing solar heat at nesting sites. All six species are also impacted by illegal collection. There is a thriving pet trade for turtles, and all species are traded illegally within Canada and exported outside of Canada. Ironically, as the number of turtles in a traded species decline, the price per turtle increases, making the trade more lucrative. The only effective ways to stop an illegal trade is to increase the risk of being caught by enforcement or try to decrease the market through awareness among potential customers of the pet trade. Trade for food also occurs, although the scope of the problem is not well understood. Road mortality is an important threat to most of the species. Turtles move across roads like — turtles, and the ever expanding road network is a threat to the survival of turtle species through road kill and as a barrier to movement. 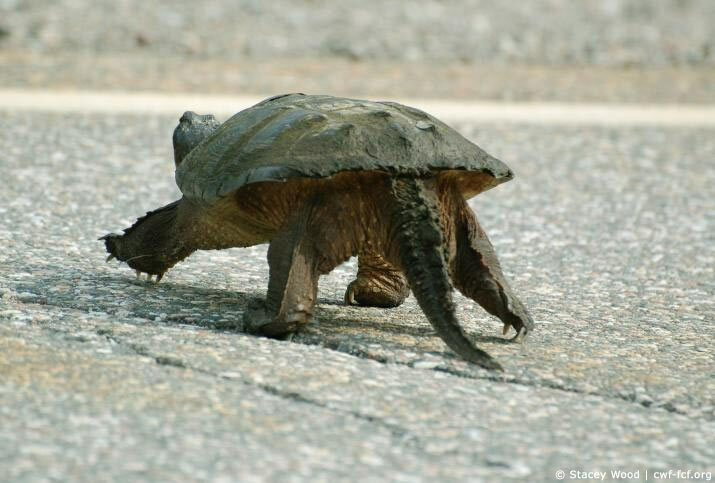 Even if a turtle perceives a car approaching it, there is little chance that it is capable of getting off the road quickly enough to avoid being hit. Better planning of roads away from wetlands and construction of turtle-friendly passages under roads in turtle habitat should be integrated into the road infrastructure budget. 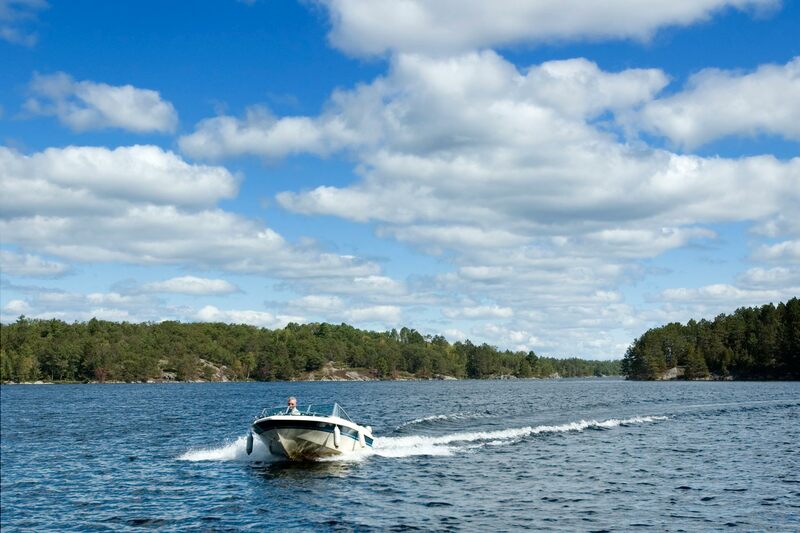 Another source of direct mortality for some species is boating. The turtle species that bask in the water, Spiny Softshell, Northern Map Turtle, and Eastern Musk Turtle, are vulnerable to boating mortality. Boaters may not even see turtles basking in the water and do not feel the impact of hitting them. Reduced speed limits or no-boating zones in areas where these turtles concentrate may be an important way to reduce risk. Another surprising threat, listed as being important for all species except the Spotted Turtle is human-subsidized predators. These predators include species that are well adapted to human activity, such as raccoons and red fox. Because their populations thrive near human dwellings, they have become important turtle nest predators. Given that turtle species have been around since before the days of the dinosaur, why is human activity so incompatible with turtle conservation? Turtles are particularly vulnerable because of their life history strategy. They live long lives, mature slowly, and have low reproductive rates. Most turtle eggs do not hatch and most hatchlings do not survive through to adulthood, and so each adult female hedges her bets by laying many eggs each year with hope that at least some will survive to adulthood and in turn pass on its genes to the next generation. Because of this strategy, turtle species are highly vulnerable to any additional mortality of adults. Do you want to help turtle conservation? Study the table below to become familiar with the threats for each species, and engage politicians in turtle conservation action. The Recovery Strategies and Management Plans show the way for conservation action. Now we need to ensure that conservation action occurs. If you live in an area where any of these turtle species exist, identify a community group that could play an important conservation role and get involved in engaging decision-makers in conservation action to reduce mortality, illegal collection, and injury of turtles.